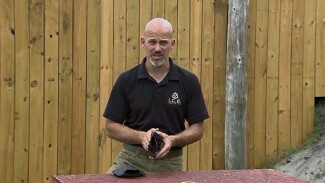 Looking around to determine what action you need to take is radically different for competitive and defensive shooters. 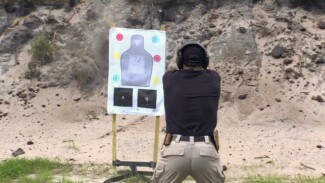 In this video, Team Springfield’s Rob Leatham and PDN’s Rob Pincus break it down. 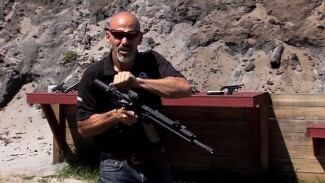 As Rob Leatham explains, the competitive shooter assesses his environment in advance of when he shoots. It’s called a walk-through and it happens before each stage of a competitive shooting event. At this time, Rob can determine where he should position himself in order to take the best shots. Assessing the environment is a key component to getting the best shots in the least amount of time, in a world where fractions of an inch and fractions of a second determine the winner. Due to the nature of a defensive incident, collecting and processing information about the environment cannot occur in advance, and it’s a matter of life and death. How many bad guys are there? Where are they located? Where is the nearest cover you can take? As Rob Pincus explains, the defensive shooter has to determine all these things and more after the fight has started, not before. Rob focuses on safety and the visualization aspect of defensive training. He also explains how assessing the environment is difficult under stress — you must really see things, not just look wildly in all directions. He offers advice for how your defensive training and practice can build up your assessment skills.